Even before drug pricing reform got its day on Capitol Hill, the issue had already been swirling around the offices of regulatory agencies for months. The Department of Health and Human Services (HHS) fired the opening volley, proposing a rule in October requiring drug makers to feature pharmaceutical prices in direct-to-consumer television ads. Featuring the price in advertisements would only misinform and confuse patients as to the true cost of their prescription, since consumers very rarely pay list price for a medication. For example, most patients pay only a co-pay or co-insurance or receive assistance from a government program. Even for patients without insurance, websites and programs offer similar buy-in-bulk leverage typically granted by insurers. The price these patients pay, then, is dictated by their insurance company or another middleman, after insurers and pharmacy benefit managers have received considerable rebates and discounts. Regulators seem unaware of the uselessness of their “bold” proposals, and the unintended consequences that come with mandated price listings. In addition to new disclosure costs (which would be passed along to consumers), vulnerable patients depending on lifesaving drugs might be deterred from obtaining a refill of an expensive drug for which they would actually pay much less. This could exacerbate America’s already large problem with refills going unfilled, with potentially deadly consequences. Even price listing rules pale in comparison to proposed “international price index” regulation, which would drastically cut innovation and increase suffering for millions of Americans. Recently, Sen. Sanders (I-Vt.) and Rep. Ro Khanna (D-Calif.) offered a bill that would force drug companies to either tether their prices to drug prices in other developed countries or lose their market exclusivity (intellectual property). Countries in Western Europe do have lower drug prices, but these “savings” come at a large cost: drug availability. In 2018, nearly 40 percent of surveyed European pharmacists cited heart disease medication shortages as a significant problem. Perhaps as a result, European doctors are far too selective about who they give statins to. The European Society of Cardiology (ESC) chairman Ian Graham said it best: “The American approach would mean considerably more people in Europe being on a statin.” This makes all the difference in the world; a comprehensive review of the evidence on statins published in the Lancet in 2016 found that “statin therapy [significantly’ reduces the risk of major vascular events,” with very few documented, significant side effects. Instead of regulations that come with costly side effects, policymakers should reform the No. 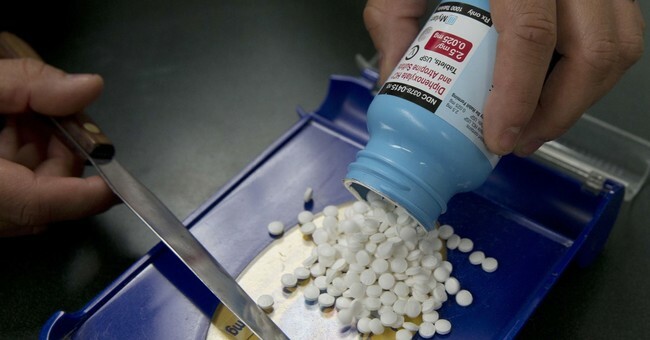 1 cost-contributor to high drug prices: the lengthy FDA approval process for new medications. Researchers from MIT and Boston College recently found that, even taking these necessary precautions into account, the FDA is far more conservative than it should be in assessing drugs for some of the deadliest diseases. Even the FDA’s designated fast-tracks for just drug approval (not even considering genetic linkages to medications) will take on average at least 6 months, and median times have been steadily increasing over the past couple of years. This process tacks hundreds of millions of dollars onto each drug’s development costs, making medications more expensive to the consumers who need them the most. Lawmakers stand at a precipice. Their constituents would clearly benefit from more blockbuster drugs at lower prices, but more availability can only come through streamlining regulations. Policymakers ought to state the obvious: less bureaucracy means more access for millions of Americans.